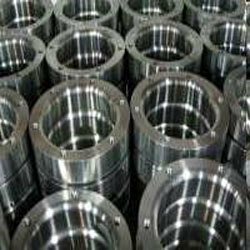 Exporter of a wide range of products which include precision machined components and precision sheet metal components. Millennium Machine Works can process Precision Machined Components in small, medium to large batch quantities of cast iron/ cast steel/ SG iron/ aluminum components with high accuracy levels in short lead times. Millennium supplies these items with 100% inspected certificates in ready to use condition. Millennium Machine Works we are the leading supplier and manufacturer of Precision Components Machining in Coimbatore, Tamilnadu, South india.